TELUS Digital creates innovative digital products and world class customer experiences – websites, apps, apis, design systems, and more – for Canada's fastest-growing telecom corporation. Their work covers a spectrum of the company's business areas, including mobile, internet, television, home security, health, and B2B. The digital team had been building TELUS experiences across a constantly-growing ecosystem. Over time, seven CMSes and content repositories were deployed to address the diverse needs of more than 30 digital properties and products. This produced content silos that required manual work to create and copy content across the various systems. Through an initiative to transform their content operations, Contentful enabled the team to manage and deliver content via a suite of flexible APIs, allowing them to unify all CMSes into a single content hub. 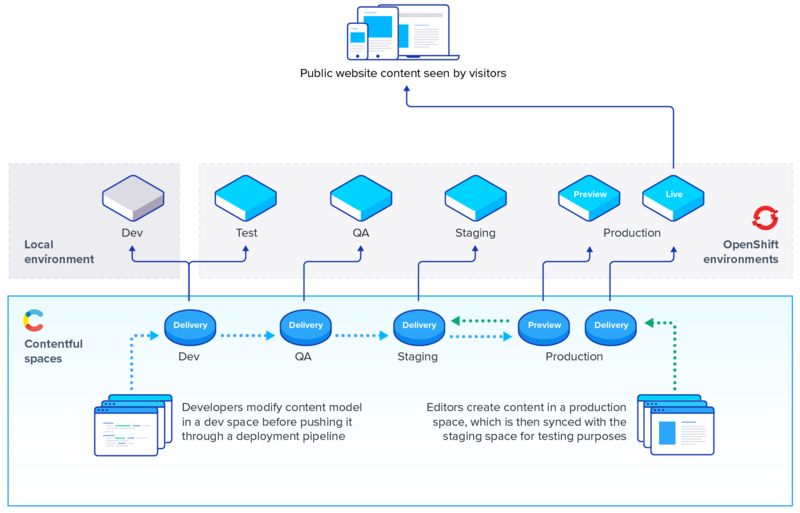 Engineers used Contentful to build content models that intelligently structured content for easy reference and reuse across each business unit. The organization could then better leverage data to improve the user experience and build more personalization features. In addition, marketing teams could more quickly run integrated campaigns and launch products across multiple channels. Adopting an agile, modern approach (using platforms like Contentful and AWS) has enabled TELUS Digital to dramatically improve their time to market. When the Apple iPhone X launched, the new architecture and processes helped TELUS beat the competition to market – it was the only company in Canada to offer the new phone during the first 15 minutes after its release. This all started with a POC for the Samsung S8, where the team reduced their go-to-market timeframe by an order of magnitude, going from weeks to days to launch new products to market.